What drives me to be a Brighton wedding photographer? Having been a brighton wedding photographer for over a decade, I have seen different kinds of couples getting married in some of the most beautiful ceremonies. There are many different elements that go into making a wedding perfect and they range from the little details like the flowers to the bigger elements like the venue. The only thing that has remained the same for me over the years is my love for all the amazing stories I have been lucky to be a part of. I am a family-oriented person who loves family, so I guess that’s why it’s one of my favourite things about weddings. I love seeing the entire family involved with the lives of the new couple as they become one. After all, they aren’t just marrying each other, they are also marrying each other’s families. From the bride crying on her father’s shoulder to the bride’s sister giving her a long bear hug, family moments are some of my favourite ones to capture. All those captured moments eventually lend themselves to a tale more beautiful than I could have hoped for in the form of your wedding album. It’s is all so beautiful to watch and capture with my camera at any Brighton wedding. I also love all the people who may not be family, but are clearly important to the couple. Often, I can’t get over how cute the little bride is. Then, there is the gorgeous bridal train and dapper groomsmen. I can usually tell when the bridesmaids are close to the bride and photographing such groups is always a delight. One of the major elements of any wedding is the venue and it can make all the difference between a truly magical wedding and a cute one. While the right combination of all the other elements can make a not so great venue look charming enough, I allow myself get blown away when it is clear the couple put a lot of thought into choosing the right place to begin their happily ever after. Brighton has tons of amazing places to get married and I can never get enough of the charming venues that Sussex has to offer. Some of my favourite venues are barns like Grittenham Barn with its stunning views, the 4-century-old Sussex Barn Hellingly, Cuckmere Barns, the picturesque Laughton Barns, Long Furlong Barn, and the Pangdean Old Barn which is only few minutes from Brighton, among others. While there is a wide selection of barns to choose from, Sussex also boasts a fine variety of other kinds of venues including castles like the fabulous Castle Goring, manor houses like Broyle Place, and manor hotels set in beautiful gardens like Findon Manor Hotel. During my trips to check out the venue before the wedding, I would often let my mind wander and daydream a bit about the perfect wedding in that place. It’s part of my job of course, but hey, it’s okay to immerse myself in it completely. When you look through my brochure, you’ll see in some of the pictures how the venue can contribute beautifully to the feel of the photographs. How can I talk about my favourite parts of a wedding without mentioning the couple! I have met many adorable couples over the years and I would work with them all over again. Every single one of those couples have been different and special in their own unique ways and I have enjoyed telling their stories. I have met couples who knew precisely what they wanted every step of the way and they were like that with the photography as well. I have also worked with couples who weren’t quite sure what direction they had to go with the photography. With both of these kinds of couples and everyone in between, it was lovely speaking to them about their needs and walking them through what to expect. It’s always great to meet my new clients for the first time and get to know as much as I can about them and what makes them tick. By learning about them, I can focus on helping them tell their story in the best ways to suit them. I’m always eager to meet new couples. Are you going to be next? All the Sussex weddings I have photographed so far have been beautiful and unique in their own ways. Despite this fact, I can’t help having a favourite kind of wedding. For some reason, I absolutely love barn weddings, maybe because they have a traditional feel to them, but I sure do love them. I believe Sussex loves them too because I always have a barn wedding to shoot before long and there are quite a number of Sussex barns around that are popular for weddings. Barns like Upwaltham Barns, Brookfield Barn, and Bartholomew Barn are top picks and always make for a memorable ceremony. Next to barn weddings, I’m a fan of really elegant weddings, whatever form they may take. Often, the couple would pick a castle or a hotel for such a wedding. Unique hotels are another category of venues that you won’t find a shortage of in Sussex. There are great options to choose from, including Findon Manor Hotel, Buxted Park Hotel, Pelham House Hotel, Deans Place Hotel, and Wickwoods Hotel, among others. There are other options available such as Angel House which is a town house, and Wootton Farm Estate in East Sussex. You can discover more amazing venues like these ones when you check the Sussex wedding directory Love Sussex Weddings. 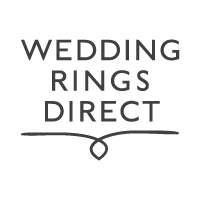 For a free appointment for all your Engagement and Wedding Rings in the Brighton Area we recommend Wedding Rings Direct. The photography is one of the most important components of your weddings as your photos will be the most important reminders of the best day of your life. As a professional Brighton wedding photographer I want to help you capture every perfect little moment of your day. Interview with Harvey Dawkins of Brighton Hen Party and Lagoon Watersports. Interview with Tony Brewin of Super Event.